Well, yes but it is much more fat than protein. What makes butter so different is that it is a water in oil emulsification. What this means is that the water is suspended in the oil and is solid at room temperature whereas the cream, which is used to make butter, would be liquid. This emulsification leads to increased stability and less spoilage. Also, since butter is just the cream, fat and protein, it has no or at least very little lactose or milk sugar present. It is this difference that makes butter not quite a dairy and more of a fat, plus butter just makes everything taste better. The lack of lactose and increase in fat tend to make butter safe on a Primal or Neolithic diet plan. Let us talk about why butter is a lot healthier than the powers that be have lead us to believe over the last 30 years. First off butter is mostly a fat and consequently it is high in fat-soluble vitamins. This includes vitamins A, E and K. The Vitamin’s A and E are essential in so many things like hormone production, kidney function, eyesight, and immune function and tend to be the nutrients that I find out of balance in women with documented hormonal imbalances. Vitamin K especially the K2 found in butter is fairly rare in the modern diet. Vitamin K2 has powerful effects on your health. It is essential in calcium metabolism and a dietary deficiency has been associated with many serious diseases, including osteoporosis, cardiovascular disease, and cancer. Butter especially from grass fed cows tends to be much higher in all of these excellent fat-soluble vitamins. Almost inevitably I have one patient ask but won’t all of that fat make you fat? 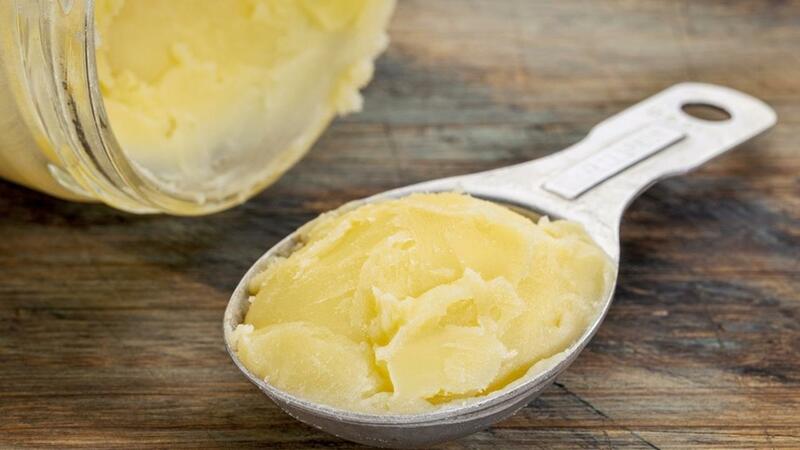 The fats in butter won't make you fat. There has been a bunch of horrible science and research done of the last 30 years that labeled fat as the enemy. This could not be farther from the truth. In fact, new research is showing that high-fat dairy did not increase the risk of cardiovascular or metabolic diseases and was associated with a significantly reduced risk of obesity. In fact, butter has a significant amount of butyric acid that has been shown to be highly anti-inflammatory and provides many of the same benefits fiber does for the bacteria in your colon. This may help balance out the gut micro-biome and lead to a healing of the intestinal lining and leaky-gut syndrome adding to the overall increase in your health and vitality. Also, finally butter is high in Conjugated Linoleic Acid (CLA), which has been shown to increase your ability to burn fat and increases your metabolism. They also contain high amounts of Medium Chain Triglycerides, which are metabolized very differently and can increase your overall metabolism. All of these benefits, butter adds up to a phenomenal cooking fat and an essential part of any healthy diet. Yes, I am saying to eat butter. This usually leads to people looking at me funny and eventually asking but doesn’t butter have cholesterol and saturated fat in it? Yes, that is why it is excellent for you. The war the “scientific” community has had on saturated fats and cholesterol is based on bad research, half-truths and have lead many well meaning doctors to improperly recommend a low fat and no saturated fat diet. A lecture I once attended the speaker said that most people are wrong about most things most of the time. This is especially true when we look at the saturated fat story. We have been taught over the last 60 years that fats make you fat, sick and give you heart disease. Well, recent studies are showing that there is no correlation to dietary fat and cardiovascular risk. In fact, saturated fats have been shown to raise HDL cholesterol's and change dense LDL's to large LDL's. 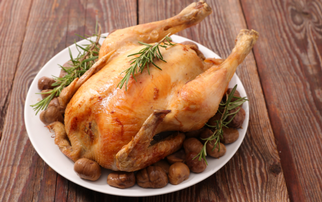 In lay terms, it lowers your overall cardiovascular risk factors. This is not new research, The Framingham heart study, examined the effects of butter and margarine on cardiovascular disease. They found that the margarine significantly increased the risk factors of cardiovascular disease and butter had no negative impact. So at the very least get the margarine out of your diet, that stuff will kill you.